When I hear the song Papa Kehte Hain Bada Naam Karega, I always think of the movie Andaz Apna Apna rather than Qayamat Se Qayamat Tak. One of the classical comedies that still most of the movie freaks nostalgic to watch is Andaz Apna Apna. Those were the days of school chilling memories with friends discussing more stuff of movies rather than study. 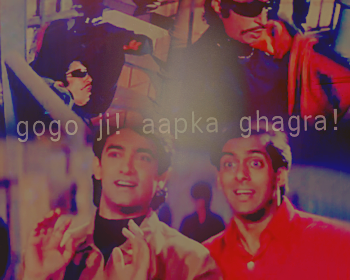 From the discussions of filmipedia through friends came to know about the movie Andaz Apna Apna. Thanks to Zee Cinema for playing this movie for n number of times. The cult for this movie is increasing more day by day to movie freaks and the enthusiasm for this devotion is driven with forces of comical, sense of humor approachable type of characters that we face in day to day life. Raj Kumar Santhoshi is known for his social elemental movies. You may be surprised to know that Andaz Apna Apna was directed by Raj Kumar Santhoshi. Filled with love and innocence Andaz Apna Apna is story about Amar(Amir Khan) and Prem(Salman Khan) who wants to get married with Raveena(Raveena Tandon,Karishma Kapoor). The khans have shown the passion of fun through their style of acting. 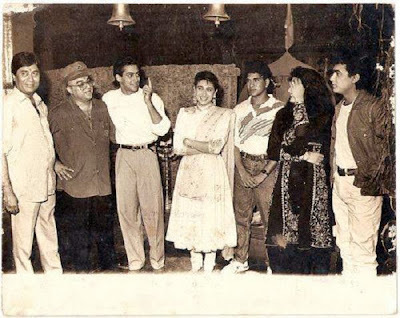 Amir Khan as Amar and Salman Khan as Prem were that kind of characters which made to felt the enjoyable presence to the audience through their actions. That moment when you laugh when you hear the song papa Kehte hain bada naam karega when Amir inaugurates the new jail room was precisely priceless. How can I forget the feel of smile spur on my face when Prem(Salman Khan) introduces himself as a Doctor Prem Khurana. Amar(Amir Khan) : Hayla ye Doctor hain ya Carpenter? Prem: Carpenter mera baap tha! Yes we are talking about those girls(Karishma Kapoor and Raveena Tandon) that sparkled the magical bound of Ishq to their heroes. My perception of thinking is still in baffled state to understand how these girls made to bring some liveliness to the movie. Is it their acing skills or character presence ? Whatever may be ..their presence in the movie was not silly but significant to radiant the roles. Though they look fierce, the jesting incidents between Robert and Bhalla(Played by Viju Khote and Shehzad Khan respectively) will make you to remember the catch phrase of the words even today. For instance dialogue by Robert Mistake se galti ho gaya ! Bhalla : Ladies & Gentleman, May I have your kind attention pls.. Relax..Pls Relax..Tahsrif Rakiye(तशरीफ़ रखिये)… आज रोबर्ट कि जन्मदिन हैं और इस ख़ुशी के मौके पे उसी ने काश शरबत बनाया हैं! शरबते जन्नत कहते हैं! 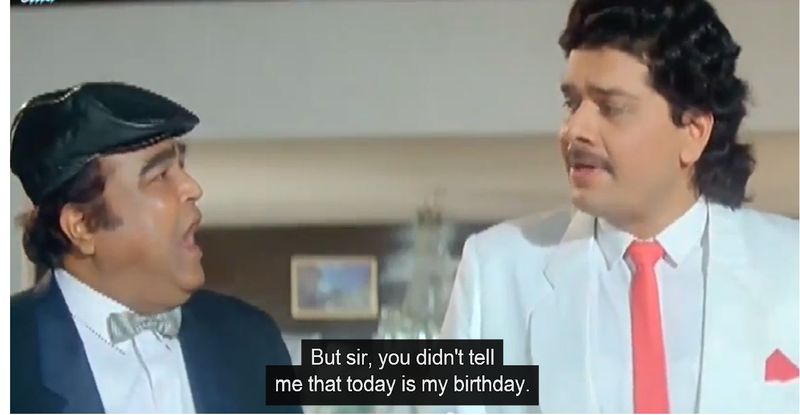 Robert:Lekin sir aapne bataye nahi aaj mera birthday hain? Yes those both characters were played by Paresh rawal(Bajaj and Teja as Twin brothers). One character is serious with respect to the discipline nature and other is serious with respect to bad boy image. Despite the fact that both the characters are serious subjects in the movie, both show the comical aspects from their serious outcomes. Shakthi Kapoor portrayed the fictional role as Crime master Gogo. He is said to be the nephew of Mugambo(Mr. India). The amusing aura about this role is that he looks childish even though the character is mix of superhero and a pirate. The lots of laugh movement arises when Amar(Amir Khan) accidentally steps on Gogo Skirt and then says Gogoji aapka Ghagra! Though the charisma of the movie popularity increased based on the loquacious nature of the artists, but the vibrant pulse for this movie was emerged through eloquent humorous dialogues. Not to forgot that even the music is enjoyable to listen. The movie was an average grosser at box office but the cult of the success engulfed through televisions. The reminiscence of childhood days are always pleasant to think of. So to make this remembrance ongoing in coming days my love for the movie is explained through my writing about this movie.